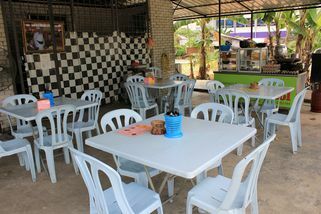 21, Jalan Sri Sentosa 2A, Old Klang Road, 55100 Kuala Lumpur. Located in the middle of an empty land,next to Lee Chong Wei Sports Arena. Two entrances, from Lee Chong Wei Sports Arena or before BHP Petrol Station which is opposite Petron Petrol Station. Many would be skeptical of the food at the sight of James Cendol’s premises in Old Klang Road with its simple open air structure, few foldable tables with plastic seats and a hand painted store sign, but look past all that and you might discover the unique charm James Cendol brings with their homemade delights. 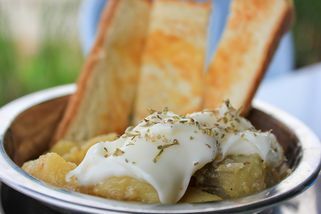 Their simple menu is only two pages but each item is created with James Cendol’s vision and unique recipes. For example take their Nasi Lemak Durian, Homemade Potato Salad and Maggi Goreng 'Gila'. As their namesake suggests their signature item is their cendol which gained fame from Sitiawan, Perak all the way to Klang Valley. 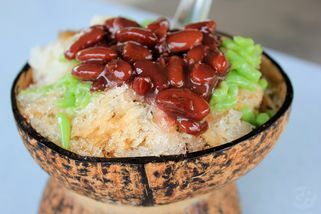 Every ingredient for the cendol is natural from the coconut milk made from the coconut flesh grated at their shop, the natural green colour of the cendol derived from pandan leaves to the bowls made from coconut shells. I haven't had the chance to visit James Cendol yet but someone tapau for me. 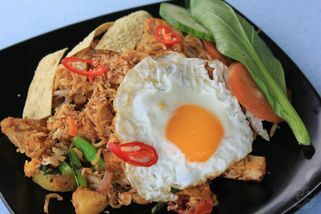 I had their 'Maggi Goreng Gila' which was pretty good, but I have no idea why they would name it as such. It's not that special actually. I guess the name is just to attract people to order it. The other thing I had was their Cendol. Now THIS. This is good stuff. No wonder they call themselves James Cendol. The taste is just right, not too sweet, not too bland. And the texture of the ice and Cendol was just perfect. I'd definitely go there just for this. The most interesting item on their menu is the Nasi Lemak Durian. 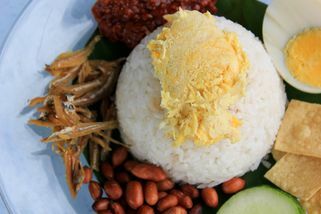 When was the last time you had Nasi Lemak with Durian, if ever?! I'm not sure if I'm adventurous enough to try this. I might one day. Maybe. 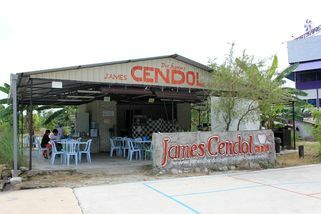 James Cendol is a very humble place that is located in the middle of an empty land besides a basketball court. Food here are delicious - their Asam Laksa, Nasi Lemak and Cendol with pulut are my favourite! I would recommend this place and I will definitely go there again! Bring your tourist frens and relatives here - they'll sure love it..
First time I visit here, feel like a bit far-off and the place too simple and crude. Would not even pay attention to it, when you go through it because the restaurant even cannot mention like a restaurant, more like a mamak stall. But surprisingly the food are different with another malay food. 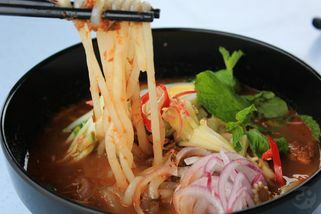 Especially the cendol and Mee goreng gila, taste specials and nice.